It's vital to maintain your eye health. That's why we are pleased to welcome you to Dr. Janice P. Ngan's office located in Port Orchard, Washington. We have been providing family-friendly quality eyecare in Kitsap county since 1974 and are a proud VSP provider. Our goal is to help people of all ages see more clearly, comfortably and easily. In addition to routine eye exams and contact lens fittings, we also provide laser vision care and screenings for glaucoma and cataracts using the latest technology. And if you need reading glasses, driving glasses or sunwear, look no further! We carry the most fashionable eyewear, including Seraphin, OGI, OVVO, Silhouette, Lulu Guiness, Guess, Penguin, and Lilly Pulitzer, just to name a few! We are happy to help you choose the right frames for your lifestyle. We invite you to browse our website and to schedule a visit to see us in person. 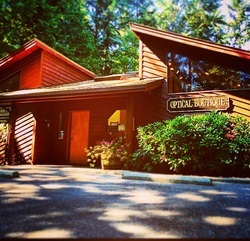 Our practice is centrally located on Woodridge Drive off Mile Hill across from Long Lake Road and Port Orchard Glass.